Reproductive choices are at once the most private and intimate decisions we make in our lives and undeniably also among the most public. Reproductive decision making takes place in a web of overlapping concerns - political and ideological, socio-economic, health and health care - all of which engage the public and involve strongly held opinions and attitudes about appropriate conduct on the part of individuals and the state. 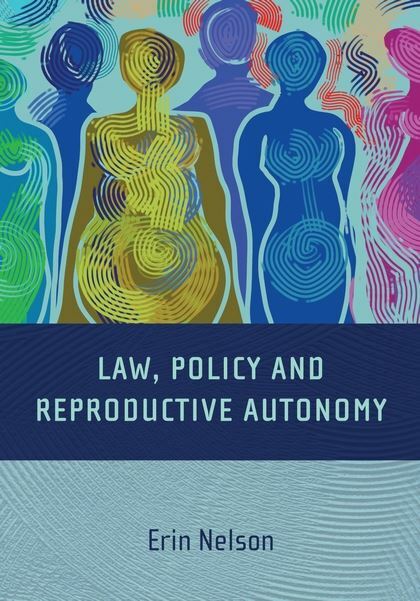 Law, Policy and Reproductive Autonomy examines the idea of reproductive autonomy, noting that in attempting to look closely at the contours of the concept, we begin to see some uncertainty about its meaning and legal implications - about how to understand reproductive autonomy and how to value it. Both mainstream and feminist literature about autonomy contribute valuable insights into the meaning and implications of reproductive autonomy. The developing feminist literature on relational autonomy provides a useful starting point for a contextualised conception of reproductive autonomy that creates the opportunity for meaningful exercise of reproductive choice. 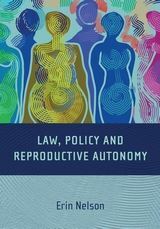 With a contextualised approach to reproductive autonomy as a backdrop, the book traces aspects of the regulation of reproduction in Canadian, English, US and Australian law and policy, arguing that not all reproductive decisions necessarily demand the same level of deference in law and policy, and making recommendations for reform. “... a detailed analysis of contemporary meanings of reproductive autonomy. The comparative approach in this book, drawing on legal and regulatory developments and debates in the UK, the US, Canada and Australia, will make the book essential reading for those interested in this complex area. ... [the book provides] rich and thoughtful analyses of the contemporary meanings of health rights [and deserves] a wide readership from those interested in law, human rights, health law, and policy. Erin Nelson is Associate Professor of Law at the University of Alberta, and Research Fellow, Health Law and Science Policy Group, University of Alberta.